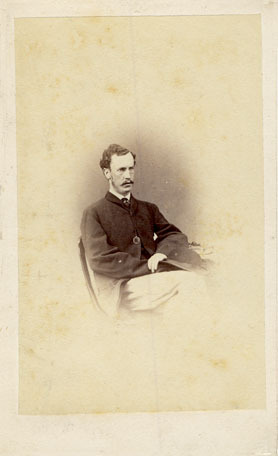 [ABOVE] Portrait of Lieutenant W. Geddes, 53rd Regt, "after he was severely wounded" photographed by James Russell of Chichester (c1862). 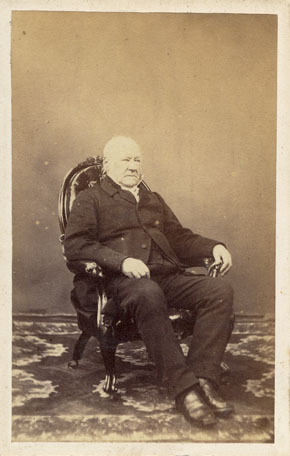 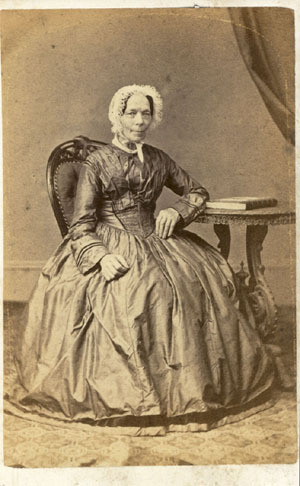 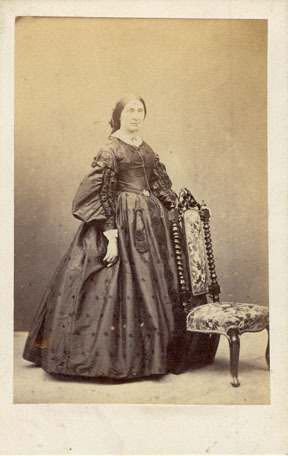 [ABOVE] Portrait of an unknown woman standing by an upholstered padded chair, photographed by James Russell of Chichester (c1862) [ABOVE] Portrait of an elderly man seated in a chair photographed at James Russell's photographic studio in Chichester (c1862) [ABOVE] The simple trade plate employed by the Chichester photographer James Russell when he started to produce carte-de-visite portraits in the early 1860s. 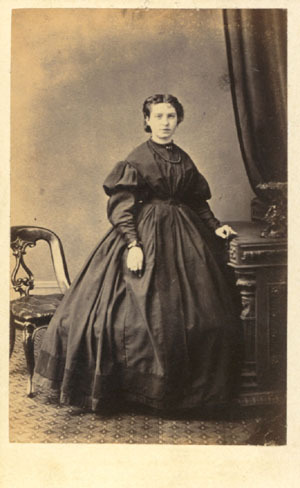 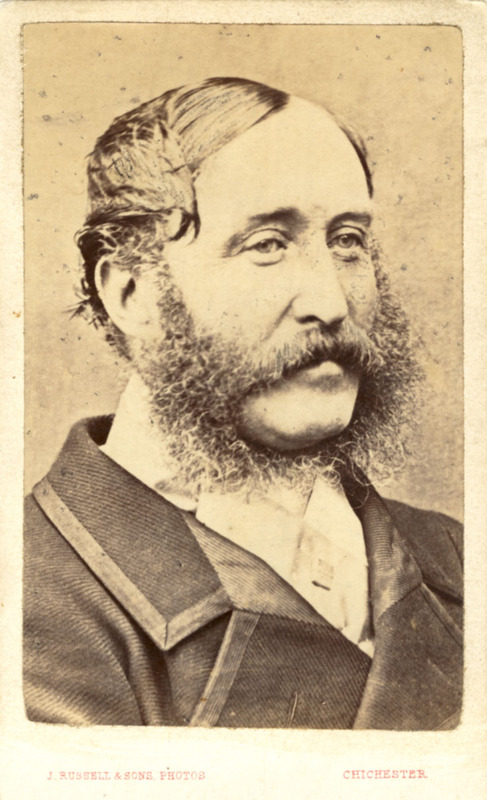 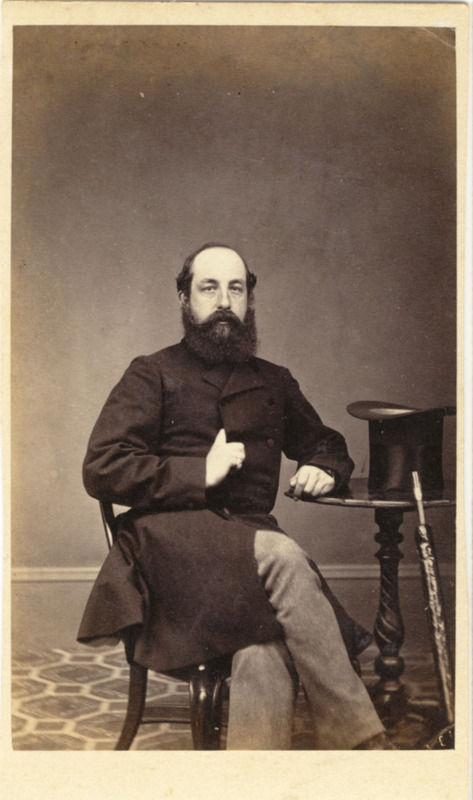 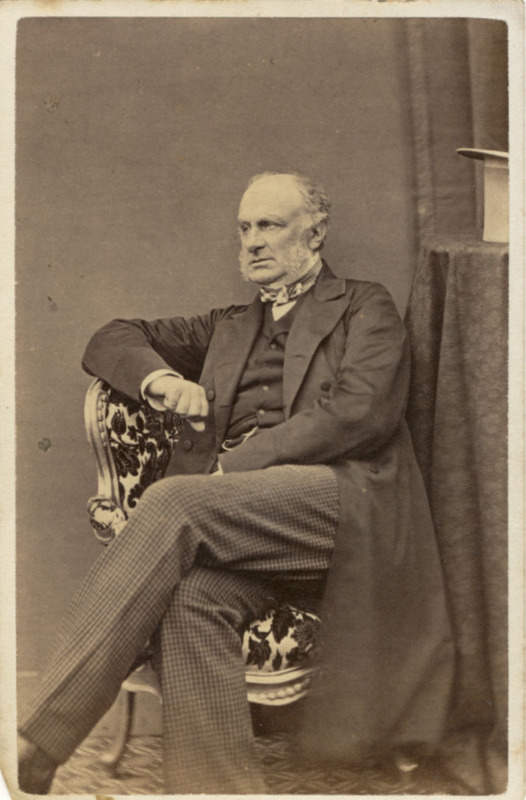 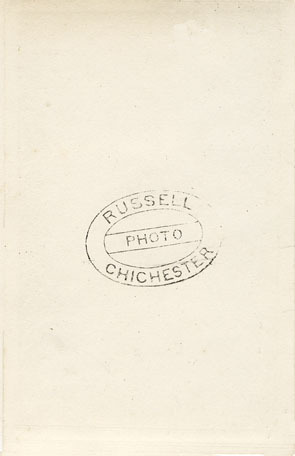 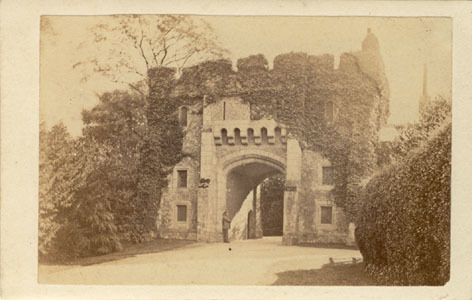 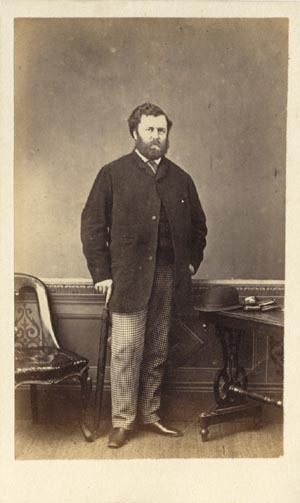 [ABOVE] The reverse of a carte-de-visite by James Russell, Photographer, of East Street, Chichester (c1864). 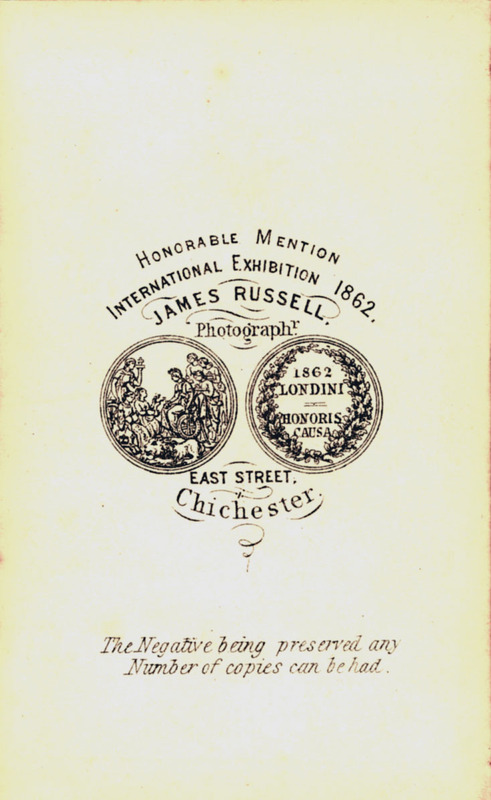 [ABOVE] The reverse of a carte-de-visite by James Russell & Sons, Photographer, of East Street, Chichester (c1870). 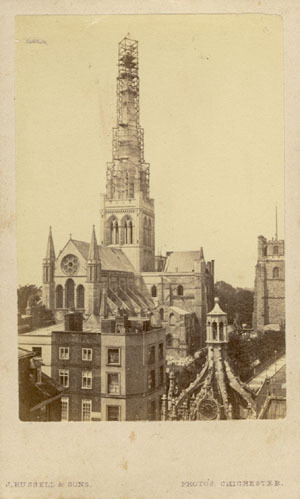 [ABOVE] View of Chichester Cathedral with its spire under scaffolding by James Russell & Sons of East Street, Chichester (c1865). 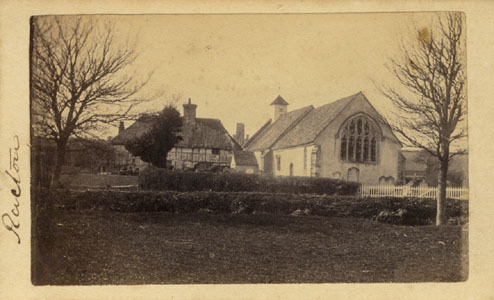 The original spire of Chichester Cathedral collapsed on 21st February 1861. 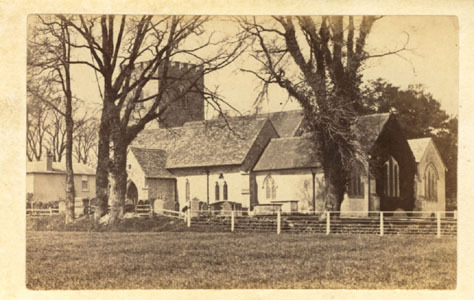 The spire was rebuilt over the next 5 years. 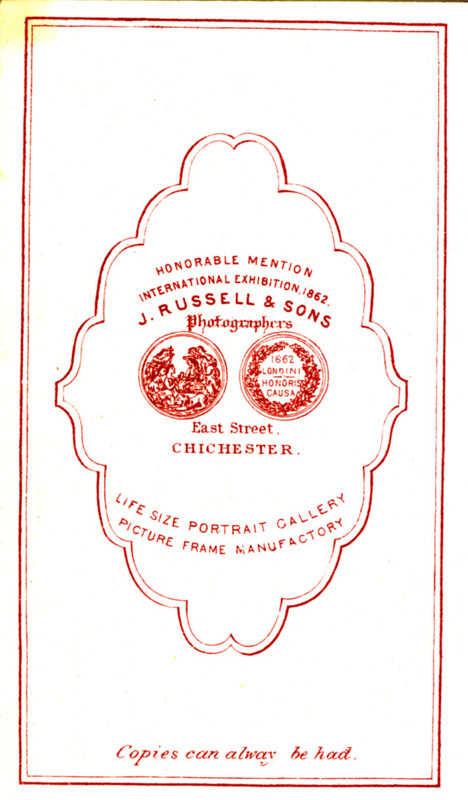 The new spire of Chichester Cathedral was completed on 28th June 1866. 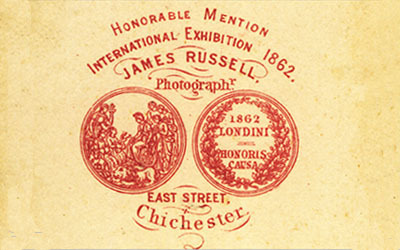 [ABOVE] The trade plate printed on the reverse of a topographical carte-de-visite produced by James Russell & Sons of Chichester (c1868).